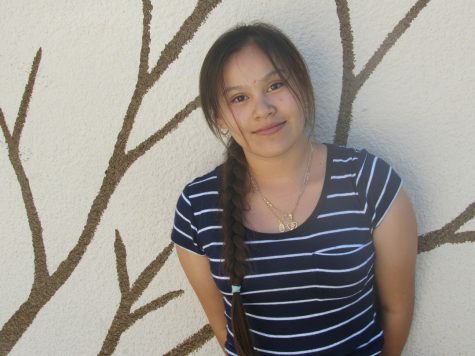 Paloma Ocampo is a sophomore at Hoover High school. She was born on November 11, 2003. She enjoys playing video games, singing, watching anime, musicals, making people laugh, even unintentionally, and Youtube. She has two older brothers that graduated from Hoover High school. She is involved in FACES and the International Cooking Club. Her favorite console so far is the switch by Nintendo. Some animes that she currently watches is My Hero Academia and Cells at Work. She enjoys watching Youtubers like The Try Guys, Smosh Games, Simply Nailogical and Shane Dawson. Her favorite musicals so far is Be More Chill, Heathers and Hamilton. She enjoys the songs that they have and how it ties in into the story. She also enjoys talking to her friends because she can be weird around them and they wouldn't judge her. Her friends would describe her as weird, sassy, anti-social, introverted, honest, smart and protective.